Jack H. Rubens is a partner in the Real Estate, Land Use and Environmental Practice Group in the firm’s Los Angeles office. 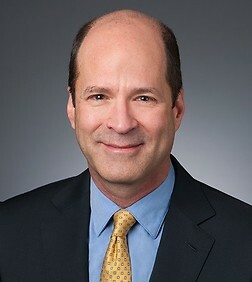 He has also served as Chairman of the firm’s Pro Bono Committee. Mr. Rubens has a diverse land use, land use litigation and real estate transactional practice. Over his 30 years at Sheppard Mullin, he has helped urban and retail developers, homebuilders and many other clients secure land use and zoning entitlements for a broad spectrum of residential, mixed-use, commercial, coastal and industrial projects throughout Southern California. Mr. Rubens is a leading authority on CEQA and has supervised the preparation of numerous EIRs and other CEQA documents. He represents clients on matters involving all aspects of historic preservation law, including rehabilitation tax credits and conservation easements. He has investigated the status of entitlements and undertaken complex land use due diligence on behalf of prospective purchasers and institutional investors and lenders with respect to real property located throughout California. Mr. Rubens also is a seasoned land use litigator and has successfully prosecuted and defended numerous land use lawsuits on behalf of developers, property owners and municipalities. Many of those lawsuits have involved CEQA and NEPA claims, as well as takings and other constitutional issues, general plan and zoning consistency, interference with vested rights and historic preservation issues. Mr. Rubens has negotiated and drafted the documentation for numerous purchase and sale, real property exchange and donation transactions, and a broad range of documentation for residential and commercial projects, including development agreements and easement, infrastructure reimbursement and cost-sharing, signage and parking agreements. Mr. Rubens has written and lectured frequently on CEQA and other land use topics. Recently, he served on the faculty for a two-day course on CEQA for California judges sponsored by the Judicial Council of California. He is a past President of the Los Angeles Conservancy, the largest local historic preservation organization in the United States. He also has represented the Conservancy and other organizations in their efforts to preserve historic structures throughout California, including the Beverly Hills Waterworks, the Ambassador Hotel, the Cathedral of St. Vibiana, Bullocks Wilshire and the Leonis Adobe. He is the principal author of A Preservationist’s Guide to the California Environmental Quality Act, first published in 1988. Mr. Rubens has received an AV® Preeminent Peer Rating from Martindale-Hubbell®, the highest rating an attorney can receive for quality of legal service and ethics. Mr. Rubens is a registered lobbyist with the City of Los Angeles.